Rocket.Chat have multiple features using email, like notifications, email verification, mailer, and much more. 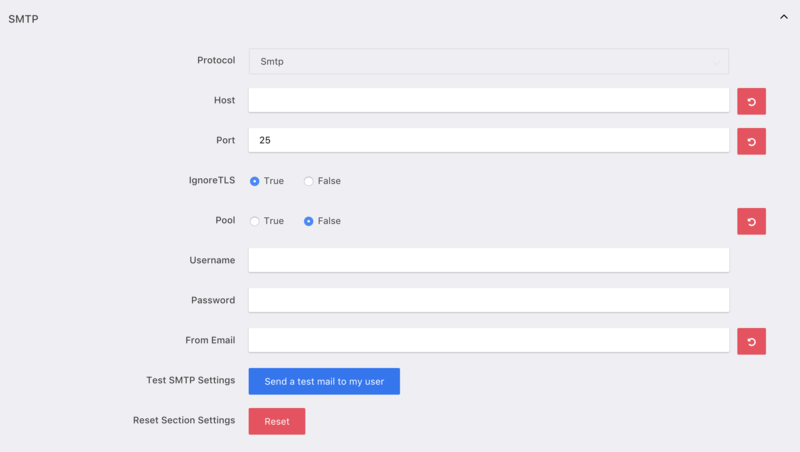 Before using those features, you will have to connect a SMTP server to Rocket.Chat. To do that you will need to have access to an SMTP server and valid SMTP login credentials. Go to Administration settings -> Email -> SMTP. Once filled, click “Save changes”. Go back into the SMTP settings and click “Test SMTP settings”. You should receive an email within a few minutes. If you do not, check the logs (“Administration -> View Logs”) to see what went wrong. NB You might need to make sure Debug logging is on (default is to log Information only).